Maybe you’re visiting this blog because you’re a client or a prospective client. Maybe you want to learn a thing or two about the world of advertising, or maybe you just stumbled here by accident. Whatever your reason for stopping here, wouldn’t you like to learn a bit more about the people behind the blog? Well, I’m here to help. Over the next few months, I’m going to conduct a “Get to Know Staples Marketing” survey and post everyone’s answers here. Most questions will be fun, some will make us think, but all will give you a better understanding of the people here at Staples. So let’s jump right in! Personally, I think you can learn a lot about a person based on their taste in music. The question I asked around the office this week was, “What is the #1 most played song on your iPod?”. 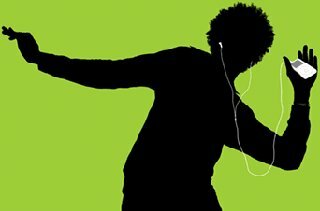 The first thing I learned is that most people do not, in fact, listen to music on an iPod. So the following is a list of everyone’s most played songs on their iPods, Android phones, mp3 players, cassette players, or whatever the case may be! Question #1: “What is the most played song on your iPod? Amy: “Mirrors” by Justin Timerblake; anything by him! Katie: Anything by Jimmy Buffett! Erik: Either “No Church In The Wild” by Jay-Z and Kanye West, “If I Had A Boat” by James Vincent McMorrow, or something by Radiohead – maybe “House of Cards”. We hope you enjoy getting to know each of us a little bit better. Stay tuned for more questions and answers!